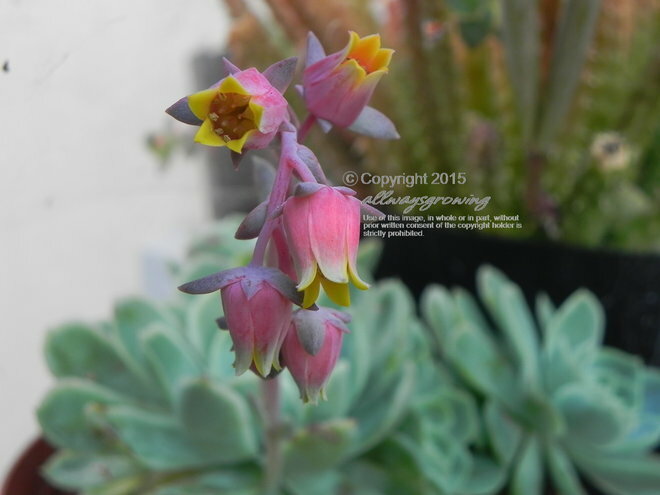 I don't know the true identity of this Echeveria. But, I do know that I like the coloration of its blooms...lavender and pink with pale yellow tips all encasing a burst of bright yellow interiors. WOW!! !